Preheat oven to 150°C (300ºF). Place the parmesan, thyme, chilli, salt and pepper in a bowl and stir to combine. 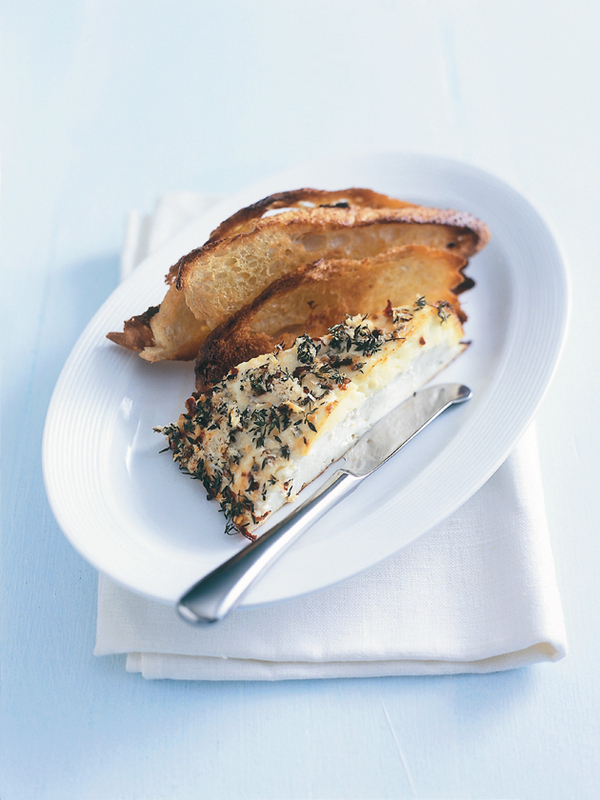 Place the ricotta on a lightly greased baking tray and sprinkle with the parmesan mixture. Bake for 1 hour or until golden. Slice and serve with crusty bread. Serves 4. * Baked ricotta makes a delicious breakfast served with eggs and toast or as a nibble with crackers and a drizzle of balsamic vinegar.